Marathon Monday is a big day in New England, but particularly in Massachusetts. First, it coincides with Patriots Day, which is a legal holiday in Massachusetts – one of only two states to commemorate the day as a holiday. As if all that weren’t enough, it’s also opening day for the Boston Red Sox. Whether you’re planning to be on scene for the action or you’d like to follow from the comfort of your TV or smartphone, we’ve gathered links to help you enjoy the day. Here are the road closures for the 2018 Boston Marathon. The Boston Marathon has 34 official charity teams. Here’s how you can donate to them. 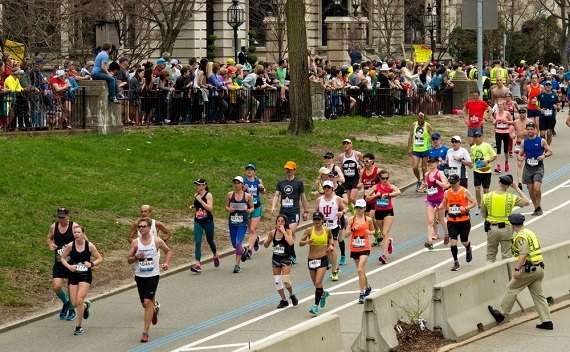 The Boston Discovery Guide has great info on the Marathon as well as other Monday events.